Last year we made a New Year’s trip and visited Novi Sad, Vienna, Bratislava and Budapest. 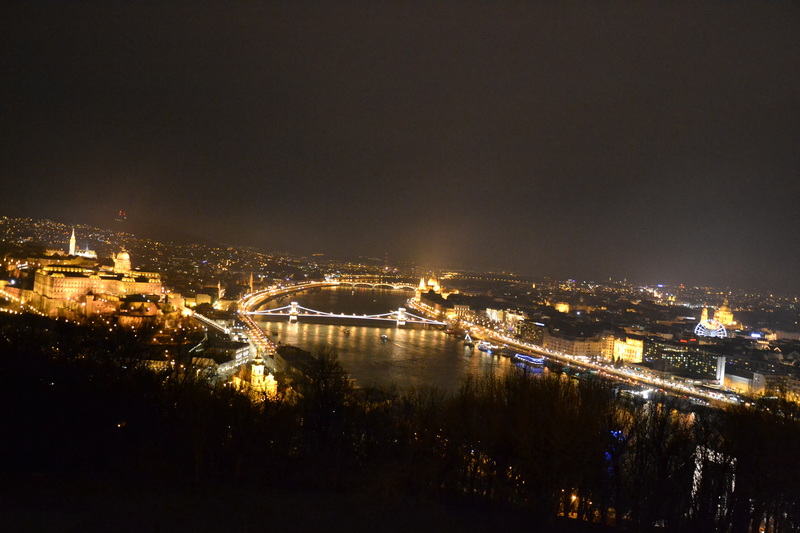 Deciding to spend New Year’s Eve in Budapest was the best choice we could make and here is why! 1. Firstly – Budapest is that beautiful, that we missed three bridges which we were supposed to cross in order to get on the other side of the river. Staring out the window and not looking at GPS is though definitely worth it! 3. We went to a ruin bar. They say Szimpla is the best and they ain’t lying about it. It’s huge, so even though all of the tourist are advised to visit it, the bar has managed to keep it’s charm and atmosphere of a local one. 4. The Parliament! We took pictures of it from every angle and viewpoint that it was visible from, we went around it, we went inside it (highly recommend the tour of the Parliament – it must be prebooked, have that in mind), we googled it, we checked it on the GPS… and we agree it is one of the most magnificent administrative buildings in the world! 5. We went to the Citadella! And we went at night! Spectacular view of the whole city! 6. 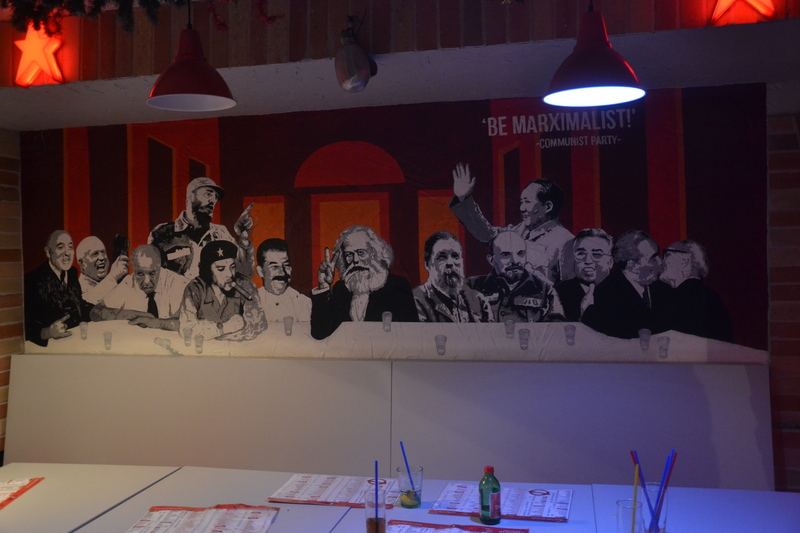 We went to Marxim Pizzéria, which is a communist themed place, where you can eat a pizza named “Snow White and the seven proletarians”. It’s a delicious one! 7. 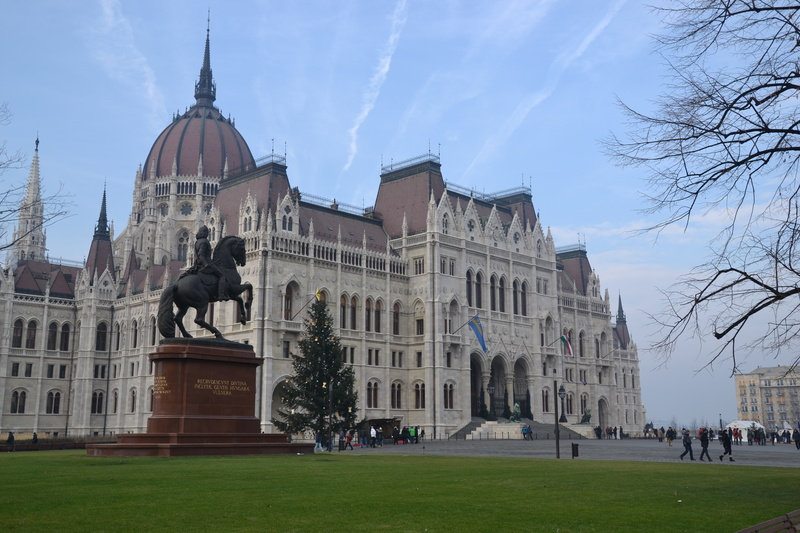 We did the Budapest free walking tour on the 31st of December. And I hadn’t seen more people come to a free walking tour before! They had to divide us into three huge groups. The guide was really good and a lot into architecture!